Bake 1 hour to 1 hour 30 minutes or until thermometer reads 140°F, brushing frequently with pan drippings and remaining glaze in bowl. 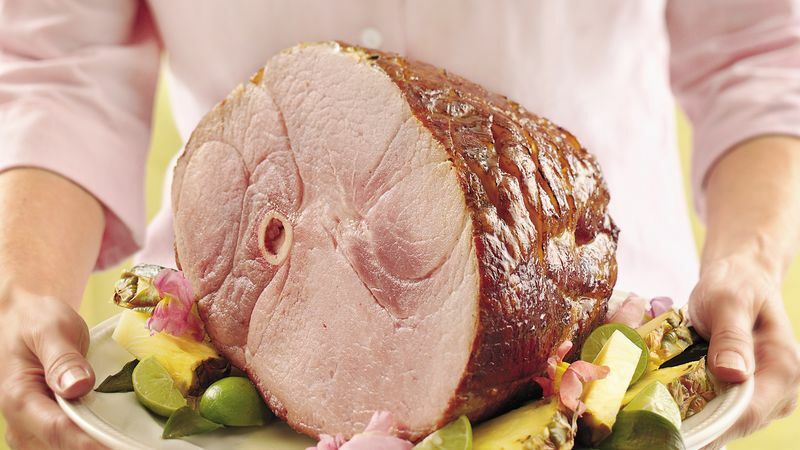 Let ham stand in pan 15 minutes, spooning pan drippings frequently over top. Meanwhile, heat reserved sauce in saucepan over low heat; serve warm with ham. Don't have a roasting pan? Pick up a disposable foil pan at the grocery store, then just toss when dinner is done.